Oh dear! I hope it wasn’t too traumatic an event. Sounds like my shed clearing exploits. 😉 Loving that dusky pink zinnia. Well I did not enjoy the work–but oh how good it feels to have it done….and I put 2 cars in there!!! That felt good, it has been hanging over me like a huge dark cloud! I even got all the plastic trays and planting cells washed, dried, stacked and put away for the greenhouse. Always more to do…. 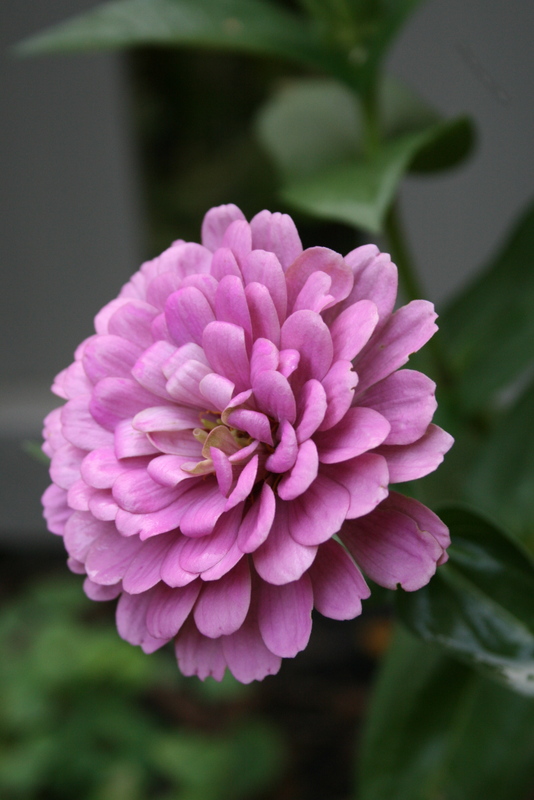 Zinnias are probably one of my favorite garden flowers, attached to childhood memories. People are always asking me about the colorful zinnias that grow in my front yard. And I tell them they are so easy to grow– just drop the seeds in the ground and cover. They make such beautiful and colorful bouquets. My name is Maria Carr and I have a blog called Dreamy Whites. Thank you for entering my giveaway. Congratulations you are the winner of the 300.00 gift card giveaway. I will be loading new items over the next couple of days so there will be new items to choose from. And there was I with my hopes all built up and then dashed !! Gorgeous photo !